We’ve have been eagerly anticipating the arrival of the Hyundai Veloster since it was announced at the NAIAS in Detroit earlier this year. 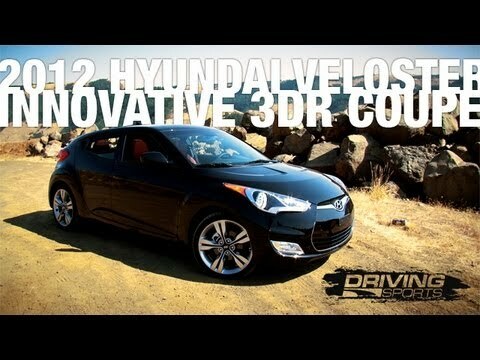 Our friends at Driving Sports TV were invited to the launch event and posted a video review of the 2012 Veloster which features a 1.6-liter, GDI 4-cylinder, 138-horsepower engine and a 6-speed dual-clutch automatic transmission. The interior design, inspired by sport bikes, adds to the Veloster’s unique flair. Additionally, the Veloster’s sleek and lightweight design, and direct-injected engine give it an extremely efficient estimated highway 40-mpg.